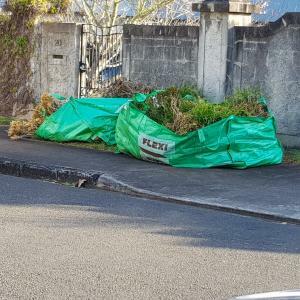 For the previous 12 months there has been either a skip or large bin placed on the grass berm rather than within individual's property for their garden waste. This is impeding on street astehtics especially for neighbors in close proximity. Dog waste is also being placed in this bin causing a small.